A privacy watchdog is to investigate a council that used powers to spy on people, including a family suspected of lying about where they lived. A couple were monitored for nearly three weeks by Poole Borough Council to find out if they were really living in a school catchment area. Covert surveillance was also used to check for the illegal harvesting of cockles and clams by fishermen. The Information Commissioner's Office (ICO) said it has "concerns". David Smith, deputy commissioner at the ICO, said: "The ICO has some concerns about the surveillance that has taken place in Poole. "It seems that in at least some cases the surveillance has involved the covert collection of personal information about those individuals under scrutiny. "We will be contacting Poole Borough Council to ensure that the way in which personal information about those under surveillance has been collected and subsequently processed meets the requirements of the Data Protection Act." 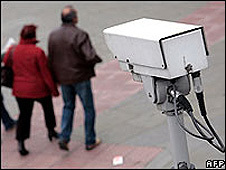 The council said it had carried out surveillance on 17 separate occasions under the Regulation of Investigatory Powers Act (RIPA) since 2005. The powers had been used in a number of ways, including detecting underage alcohol sales, investigating benefit claims and monitoring suspected drug dealers. A spokesman for Poole Borough Council said: "The council has not yet received a formal request from the ICO and cannot comment further at this stage. "However, the council will cooperate fully with any request it receives from the Information Commissioner's Office on this matter."